I recently spoke as part of a panel on Values-Based Leadership at the Royal Roads University Leadership Conference in Victoria BC. There was vigorous discussion following the presentation and one delegate asked a question that led me to discover a fresh vision for what I do! 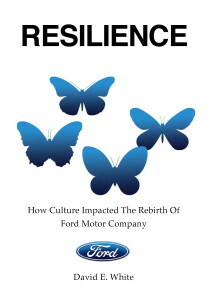 After 25 years of executive leadership, including the past 12 years of working with organizations as a consultant/speaker/writer, the simple clarity of purpose seems embarassingly obvous: To help leaders to build foundations of resilience in their business. Maybe this seems like it should have been obvious, but honestly this little change in perspective is like a glass of water after a long journey in the desert; life-giving. The focus of this blog and all products emerging from it in consulting, writing, speaking, etc will be an effort to deal with the question asked above. To adapt the universal principles proven in other organizations for use in yours. I have discovered many principles to ensure the awareness, articulation, accountability and alignment needed to become resilient in the face of business challenges. I have also found great value in the sharing of the principles that others have discovered. Together we can powerfully equip those we lead in ways that are truly transformative, achieving optimal performance and fulfillment, along with profitablity, joy and peace. Organizations are simply groups of people coming together to do a thing. Sometimes the thing gets done, sometimes not. Sometimes the pain involved in doing the thing makes us wonder if it was really a good idea to begin in the first place. The source of the pain is often conflict, disengagement, and/or lack of adherence to the protocols and practices that are in place to ensure we are successful in doing the thing. All of this can place our futures in jeopardy. Sometimes people start to plan our exit as leaders – and sometimes we even start looking for our own way out! There is a proven way to achieve 100% accountability! It functions less as a program and more as a character development process for the whole organization. It feels less like military-style adherence and more as freedom. It turns the paradigms of “greed and fear” / “carrot and stick” on their head and invites the group to experience optimal performance and individual fulfillment, and it harnesses full engagement to do the thing that we set out to do as any group of people. If you would like to learn more, send me an email or reply here to start a conversation!